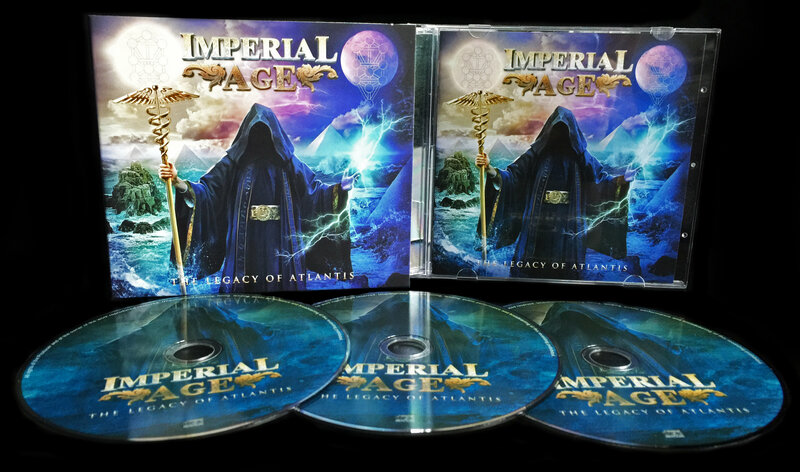 This is the second full-length album by the Russian Symphonic Metal masters IMPERIAL AGE. 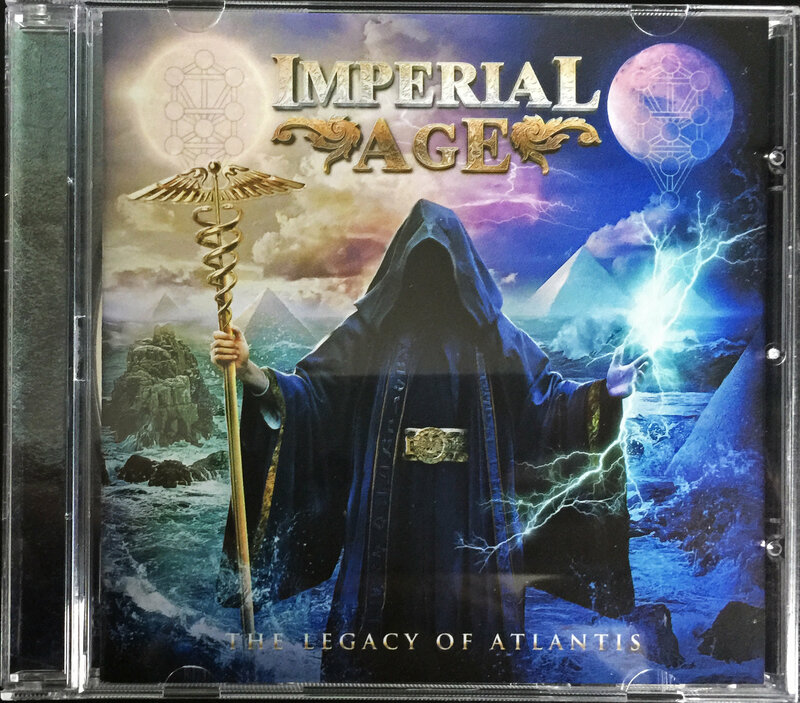 The album is a full-scale Symphonic Metal opera set in the Middle Ages in Europe and in the legendary advanced prehistoric civilization of Atlantis. The album was recorded with 3 musicians from THERION and 2 musicians from ARKONA (see credits). ❝ Our civilization is not the first one on this planet. Before us, there were others. Some of them were much more advanced than us. Modern civilization started 10 000 – 5 000 years ago with the dawn of ancient Egypt and Sumer. These cultures, however, were built on the ruins of a previous one. By approximately 60 000 years ago this previous civilization had reached the peak if its power. It had united the planet, developed complicated technologies and colonized distant star systems. But, most importantly, it had studied and developed the human consciousness, giving birth to a small number of superhuman beings who could change the physical world with their thought and restore their identity in every next incarnation. Around 65 000 years ago the great civilization perished as a result of a planetary cataclysm, known today as The Great Flood. Survivors were scarce and most of them returned to the Stone Age. The few reincarnated superhumans, however, remembered much of the knowledge of their homeland and have since then been guiding humanity, known at different times as pagan Gods, Mages, Prophets, Mystics, Gurus etc. The opera must be listened in full, from beginning to end, in order to get the full picture and experience the full feeling. The album features four lead singers (Aor, Anna Kiara, Jane Odintsova and Thomas Vikstrom), together with the Chamber Choir of the P.I. Tchaikovsky Moscow State Conservatory. Recorded, mixed and mastered at CDM Records by Sergey Lazar. Produced by Alexander Osipov. All music written by Alexander Osipov except The Awakening written by Jane Odintsova and Life Eternal written by Alexander Osipov & Jane Odintsova. All lyrics by Alexander Osipov. Orchestra and choir parts written and arranged by Alexander Osipov. Choir conducted by Taras Yasenkov. Pavel Maryashin – solo guitar. Album artwork by Jan Yrlund. Photography by Vasily Sokolov. Costume design by Jane Odintsova. Costume production by Dmitry Varg. Costume painting by Zoia Raido.